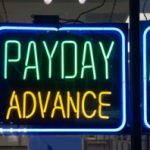 This week Georgia lawmakers narrowly rejected a bid to repeal a state law banning payday loans. Supporters of House Bill 163 have argued that the state went too far in banning payday lending back in May 2004, and they want to bring the industry back, albeit with new regulations. Usury laws limit the interest rate amount a lender can charge. In Georgia, an unlicensed lender cannot charge more than eight percent interest on a loan of $3, 000 or less. The Industrial Loan Act of 1955 essentially made payday lending illegal, by requiring state licensing and registration and by imposing strict usury limits on small loans. In 2004, the Georgia General Assembly passed some new provisions to increase the fines and criminal penalties for people making small loans at illegal rates of interest. The law went into effect in May 2004, and though it is under review in the federal courts, it is currently in effect. 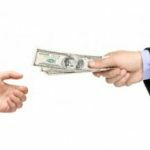 Referred to as the Payday Lending Act of 2004, this law authorizes felony and racketeering charges against violators, as well as fines of up to $25, 000 per violation and a possible jail sentence of 25 years. The new bill would’ve authorized payday lenders to charge a service fee of $15 per $100 loaned for each “deferred presentment services transaction.” In other words, every time someone needs to extend their loan, a lender could charge 15% of the balance. Unfortunately, when you compound this out, it becomes a pretty serious annual interest rate. I’m insulted by this law which implies that the “poor consumers” are children who have no idea what they’re signing or agreeing to. I used payday loans myself and have paid back every single one with no long term problems and they were essential when I was in a tight spot. The alleged cycle of debt is caused by the consumer themselves. Lenders will tell you that payday loan is meant to be SHORT TERM not a long term solution. And no I don’t work for a payday lender. I agree with the previous poster that banks and credit card companies are just as if not more abusive in their fees. The law DID NOT stop payday lending. People who can just go out of state now. And numbers of bounced checks, bank fees, overdrafts and bankruptcies actually went up in the state of GA after the ban. The only entity that this law helped in the long run was the banks. Why don’t all you geniuses tell me what it is when a bank charges an overdraft fee until your payday direct deposit comes in? What’s the limit on that practice, eh? Anti-payday lending laws are bank trojan horses. Banks and credit card companies are vastly more abusive than payday lenders, as “no one suspects the banks”. They’re good and proper usurers. I worked for one of these sleazy PayDay companies many years ago. The owners wouldn’t provide any benefits whatsoever to their employees despite the obviously high net profits they nicely held for themselves. I’ve never worked with such greedy and unethical people since then. I understand the average payday loan is $200 and fee Ga was going to allow was 15%. Sooo, how does a $30 fee become preditory. How does someone get stuck in the cycle of debt for $230 and can’t get out? All of this is from the Center for responsible lending, the left wing group who if your car is in the shop and payday is a week away….they make you walk! I would rather the CHOICE to pay the $30! Why do you think you need someone to protect you from yourself? Use common sense guys! What everyone seems to be overlooking in this discussion is the fact that APR is irrelevant for a typical 14-day payday loan. A fee of $15 is just that, a one-time fee that doesn’t change over the course of the two week period. Not only that, but $15 to borrow $100 is cheaper than a bank’s NSF fee, credit card late fee or utility bill penalty charge. Groups that stand to gain from abolishing payday lending have so distorted the issue that the facts are seldom mentioned. But the truth about the industry is there for those who have the integrity to do the research. Good for Georgia…now if all the states would bet the guts to do the same everyone would be in a better position. Terrific news. Now those stinky useless poor people will keep having to go to the mafia when they need to borrow money! And the mob will not only charge them even MORE interest than that, but they’ll also break their legs and kidnap their children if they don’t pay promptly! Muahahaha! But seriously…this talk of “predatory lending” is a joke. There are real predators out there, and laws like this one just give them more power and more customers. In the meantime, an industry that (unlike the competitors empowered by this law) has never killed or injured anyone, is being pushed out of the state of Georgia. The Georgia law that outlawed payday lending included exceptions for credit card banks and licensed finance companies. Payday lenders are unwilling to make loans as regulated rates. They could have done so before or after 2004 as licensed lenders. The only thing that changed in 2004 was that payday lenders left the state because the legislature made it a felony to engage in unlicensed lending. Payday lenders vow to bring this issue up again in 2008. They say that the market is demanding their product and that they intend to satisfy that demand. I suppose a crack dealer would justify his enterprise with the same sort of logic – the product is in high demand, so it must be a good idea, right? The fact is that these loans push financially delicate borrowers beyond the tipping point, resulting in bankruptcies, foreclosures and the like. Those results carry with them severe societal costs, thereby making a nullity the payday inustry mantra of “let the private market dictate” the sort of transactions that should be legal. This is great news! In my opinion payday loans are basically predatory lending, hopefully other state governments will take notice. KMC: While I agree that credit cards can sometimes charge exorbitant rates, I’ve never heard of one with a 390% APR (or anything near that). Payday loan rates are typically an order of magnitude higher than credit cards. So if you use a payday loan, there’s law protecting you from usury. You’re not so lucky if you use a credit card thanks to the U.S. Supreme Court (see Smiley v. Citibank). I find it ironic there’s so much regulation (and rightly so, don’t get me wrong) on pawn shops and payday loans in some states but banks can essentially charge whatever they want. Oh, as to the second part of your question (i.e., what happens when the loan exceeds $3k), I’m not sure. It’s possible that unlicensed lenders aren’t allowed to make loans over that amount, period. Of course, even if that were the case, it wouldn’t take long for a moderate-sized payday loan to compound to that point (and beyond). Right. The 15% is what they were hoping to change it to if they were able to repeal the anti-payday law. As far as the 8% goes, I’m not sure if that’s per deferral, or annually — I suspect that it’s the latter; otherwise the payday loan industry wouldn’t have completely closed down in Georgia back in 2004. After all, 8% per deferral is still a ton of money. Remember, it specifies that the 8% limit applies to non-licensed lenders, such that banks and credit card companies can still exceed this amount (as they very often do). 15% per deferment seems to be a bit more than 8%; I wonder if once that balance got over the small loan limit whether they could increase the actual interest rate above that?